Technik 8+ Sliding Door Enclosure (Inc. Rail Kit) - Only £308.99! In stock now from just £308.99 including VAT! Hurry while stocks last! Providing unbeatable quality and comfort at an amazingly low price, these stunning enclosures offer cutting-edge looks and design with a price tag that puts many competitors to shame. Crafted from extra-thick 8mm toughened safety glass, these excellent shower enclosures are the final word in heat retention, quality and strength. Perfect for any home, these have the looks to ensure your bathroom stands out from the rest. With its sleek polished chrome frame, full height magnetic door seals and modern design it is a beautiful centrepiece for any bathroom. The fantastic Lifetime Guarantee that comes with this enclosure as standard is testament to the unrivalled quality this item boasts. A Nano Technology coating is applied during manufacture one all shower enclosures and doors in the range. This Hydrophobic coating seals microscopic holes in the glass, making the water stream effortlessly off the glass, preventing limescale and soap deposits. This will keep your shower enclosure looking as good as new. All Technik 8+ shower doors and screens are made from high quality 8mm strengthened and toughened safety glass, conforming to the latest EN12150-1 manufacturing standards. This provides maximum safety and peace of mind for you and your family. 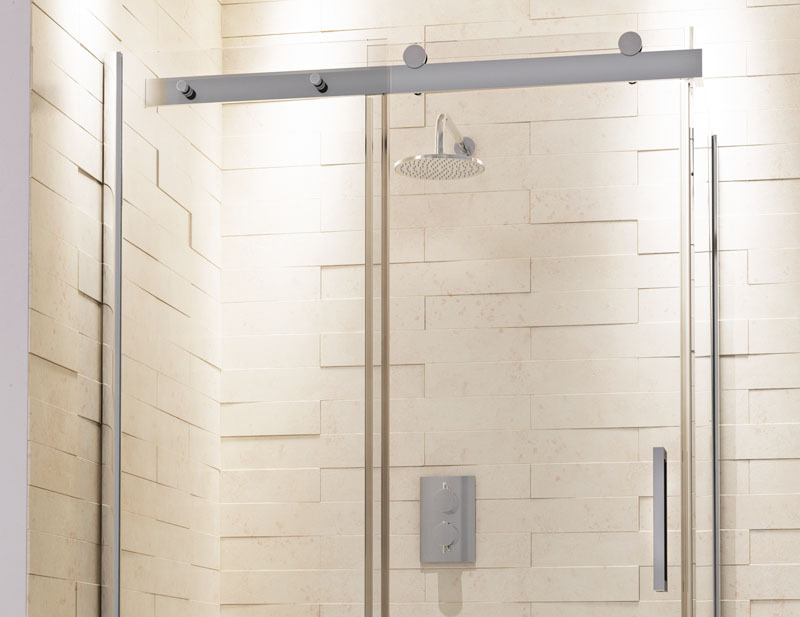 All the high quality enclosures in this superb range are carefully and thoroughly tested to ensure they are compatible with today's modern power showers. All doors in the Technik 8+ range benefit from high quality magnetic soft closing seals, ensuring our enclosures shut tightly and softly to contain water and give a high quality feel. All sliding doors in this range have a superb quick release system, which allows you to remove the runners from the track at the bottom of the enclosure, allowing complete access to all parts of the enclosure for a thorough clean. Not every home has perfectly straight walls. To fix this problem, all of the doors in the range feature plentiful adjustment in each wall channel, allowing a quick and seamless installation in every situation. 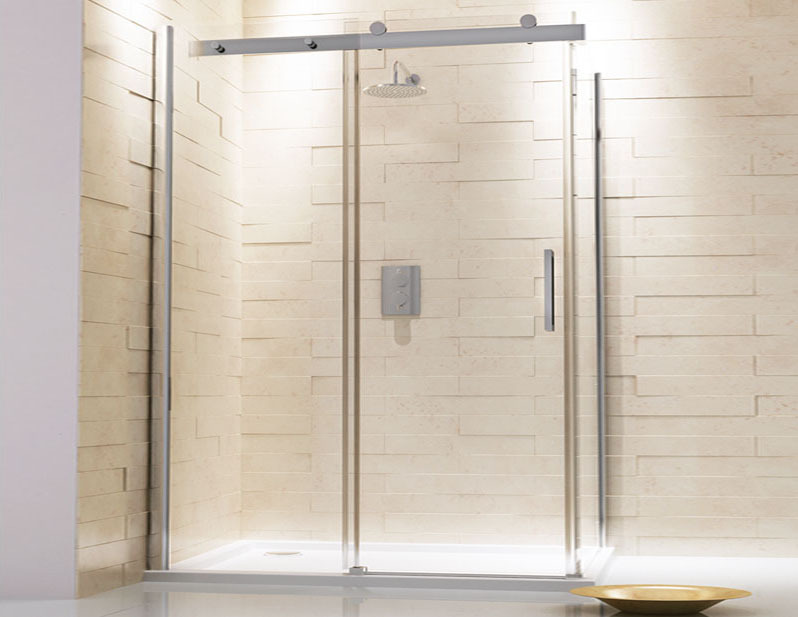 The Technik 8+ Sliding Door Shower Enclosure is the perfect addition for any bathroom. 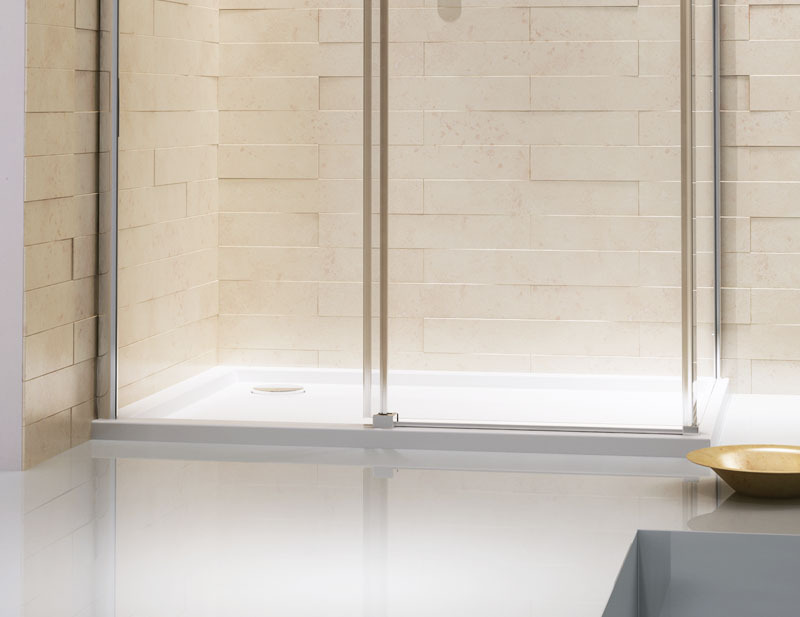 Our range of luxury, high-quality shower enclosures will provide a stunning focal point for any bathroom - with their sleek modern designs and a wide variety of shapes and sizes, the VIP range will be the envy of your friends and neighbours. Our shower enclosures are built to extremely high standards, fitted with specially toughened safety glass as standard, and finished in beautiful chrome. Such is the quality and luxury standard of our shower enclosures that all items across the range come with a free Lifetime Guarantee as standard. The VIP Bathrooms range of Shower Enclosures and Bath Screens provide the perfect bathing experience at a bargain price. Whether unwinding after a hard day under the flow of a soothing shower, or soaking away aches and pains in a beautiful bath, at VIP Bathrooms we understand how important your bath or shower can be in aiding relaxation. It is with this in mind that we have carefully selected a range of fantastic enclosures and screens that offer maximum heat retention, are superbly built, and are excellent value for money. Manufactured to the very highest standards, our screens and enclosures are made from much thicker, higher grade glass than most competitors, giving you increased warmth, reliability, safety, and a surface which is much easier to clean. Thanks to the high quality and low price of these stunning bathroom additions, you can rest easy in the knowledge that all your bathing needs have been catered for.